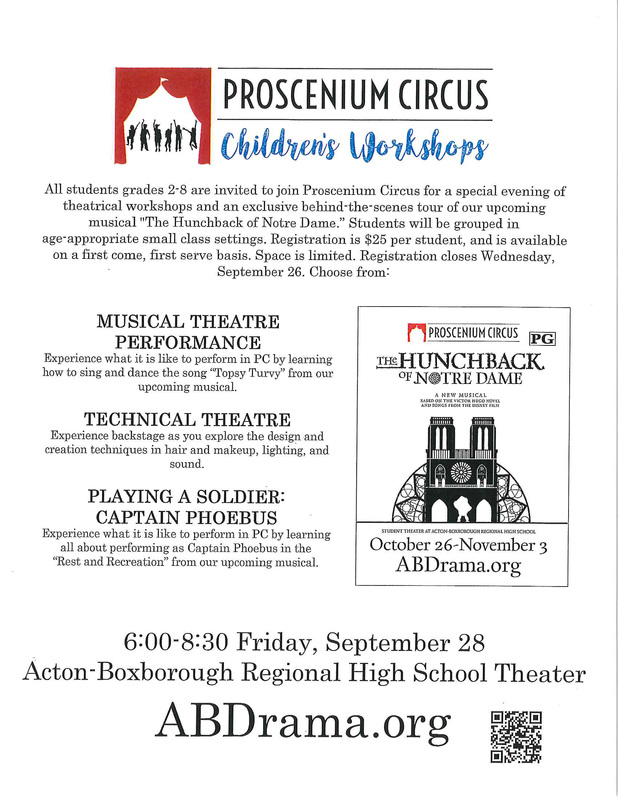 All students grades 2-8 are invited to join Proscenium Circus for a special evening of theatrical workshops and an exclusive behind-the-scenes tour of our upcoming musical “The Hunchback of Notre Dame.” Students will be grouped in age-appropriate small class settings. Registrations is $25 per student, and is available on a first come, first served basis. Space is limited. Registration is limited. Registration closes Wednesday, September 26. Want to go to Acton Town Meeting but can’t find a sitter?